Welcome to Music Garden Studio, the Suzuki piano studio of Dominic Meiman. On this website you’ll find information that is informative, encouraging and, maybe a little inspirational. As the site is primarily for parents who are considering a piano teacher for their child, it’s a way of introducing myself to you. 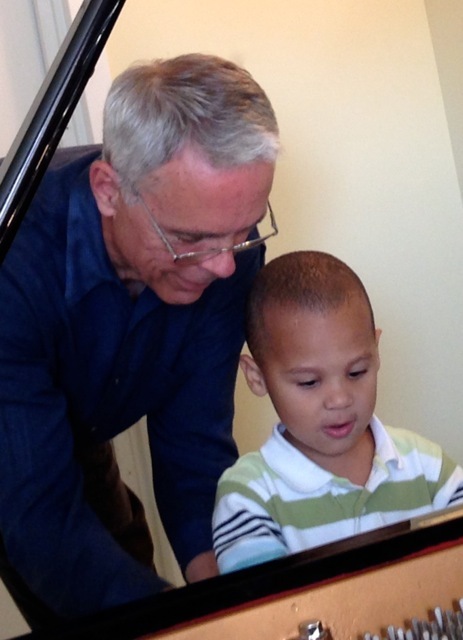 I am committed to the study of piano and the development of excellence in my students. I hold a lot of respect for parents who agree to play a central role in their child’s musical training, which is at the core of the Suzuki Method. Studies confirm that musical training adds greatly to a child’s overall development, beyond just learning to play a musical instrument. Parents will be gratified to discover how many areas of their child’s life this discipline impacts.